Albert Ross Sloss was born in Sydney on 15 February 1911, the son of William Sloss of Glasgow and his wife Catherine, nee O’Neil (d.1952). On 23 December 1931 at Casino, NSW, he married Catherine P Moffat and had at least two daughters. He died at Long Jetty on 26 April 1990, survived by several children. A requiem mass was held at Our Lady of the Rosary, The Entrance, before his interment at Palmdale Lawn Cemetery. Albert Sloss was educated at St Joseph’s Sisters of Mercy School. He was an employee of the Municipal Council of Sydney from 1925 to 1939 when he was elected to Council as an Alderman. He was an active member of the Labor Party. Albert Ross Sloss enlisted in the Australian Army at Paddington on 10 December 1941, putting up his age by two years. He was discharged as a Gunner with the 101st Australian AA Regiment on 30 July 1945. From 1950 to 1953 he was personal assistant to the Minister for Labour and Industry. He was a life member of the Returned Services League, and a member of RSL Anzac House, the City Bowling Club, and the NSW Leagues Club. Sloss was on the Board of Directors of the Sydney Hospital from 1958 to 1973 and was a Trustee of the Wentworth Park Trust in Glebe from 1968. 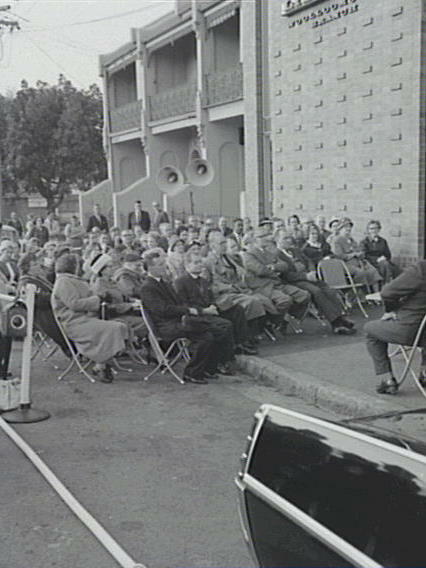 The Albert Sloss Recreation Centre on the corner of Palmer and Burton Streets, East Sydney, was named for him in 1957. The Catherine Sloss Library in Dowling Street, Woolloomooloo, was named for his wife and was opened in 1963. It closed in 1988. 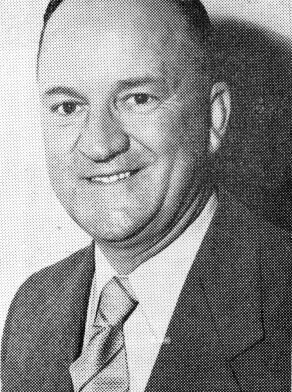 Albert Sloss was elected member of the Legislative Assembly for King from 1956 to 1973. He was a member of the Australian Labor Party. Albert Sloss was elected Alderman for Phillip Ward, 30 October 1939 to 5 December 1941 and for Macquarie Ward, 2 December 1950 to 4 December 1953. He was a member of the Works Committee, 1951-53 and its Vice-Chairman from 1951-52, member of the Electricity Committee, 1939-41, the City Planning and Improvements Committee, 1939-41, the Finance Committee, 1939-41 and the Health and Recreations Committee, 1951-53.